The Ruling Lord of the House of Galton is dead, and the nation is in shock—or celebrating, depending on the district. Kit Franks would be more than happy to join him. Kit’s mother bombed the digital core of the House, killing several and upending the nation’s information structure. No one wants the daughter of a terrorist. Kit lost her job, her aunt wants her evicted, her father is using her as a shield against a drug lord, a group of political rebels need Kit to ignite an interplanetary war, and the boy two floors down keeps jacking up her suicide attempts—as if she has a life worth saving. When Mom-the-terrorist starts showing up on feeds and causing planet-wide blackouts, everyone looks to Kit for an answer. The rebels want Mom on their side. The government needs to stop Mom’s digital virus from spreading before there’s no record of government left. Both sides will do anything, destroy anyone, to make Kit crack. They believe she’s the key to Mom’s agenda and the House’s future. Worst of all, they may be right. Kit’s having dreams she can’t explain, remembering conversations that no longer seem innocent, understanding too much coded subtext in Mom’s universal feed messages. Everyone, from Mom to the rebels, has a vision of Kit’s fate—locked, sealed, and ready to roll. The question is, does Kit have a vision for herself? Split The Sun mixes fast-paced and edgy drama, action, family, romance and one hell of a resilient character to create an addictive story. Kit has achieved a status of notoriety thanks to her mother blowing up their planet’s archive. Kit is left feeling both guilt and hopelessness, despite her ignorance about her mother’s deadly plans, despite what the rest of the planet chooses to think about her. But it seems like no one will let Kit fade into the obscurity she craves – not the crowds who lay blame, the government who seek answers, a rebel group of protestors that think Kit might live up to her mother’s apparent glory, her family who only want to take from her, nor the boy who lives in the apartment above Kit. Kit will need to decide what she will fight for – if anything. 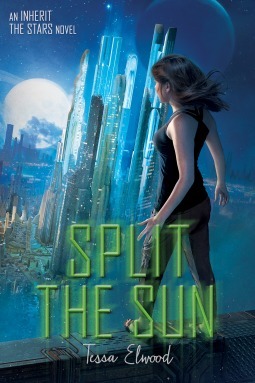 Split The Sun is the second book in the Inherit the Stars series. It is more like a companion book, with a different set of characters and different plot line, but set in the same world and with the same mix of action, sci-fi adventure and romance. 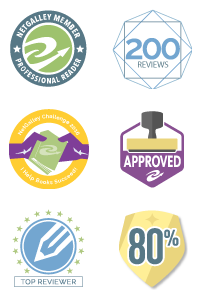 I think I enjoyed Split The Sun more than I did Inherit The Stars. Both are great books but I really connected with Kit. I had initially expected Split the Sun to continue the story of Eagle and Asa from Inherit the Stars, but wasn’t disappointed at all in Kit. She is a fantastic character. Continually knocked down, she is on the very edge of giving up and yet she cares so much about people, does everything she can for the people that treat her like rubbish. Her resilience and strength is amazing. Indiana Jones meets The Da Vinci Code meets military action movie of your choice is an apt description for this book. Military strategy, archeological digs, ancient artefacts, Biblical history, even a touch of romance; Ronie Kendig stretches the boundaries of what we have come to expect from her military suspense. 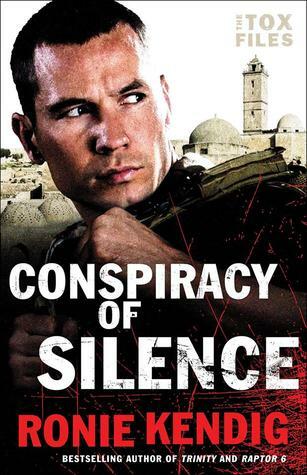 In Conspiracy of Silence we have the same military heroes, weapons, and tactics, but a whole other level is added that takes almost a fantastical turn. I read this book and the prequel novella simultaneously. I started The Warrior’s Seal, then started Conspiracy of Silence, finished The Warrior’s Seal and then finished Conspiracy of Silence. I think reading The Warrior’s Seal first is advisable as it sets the scene for this series, introduces some of the main characters, especially Tox, and gives the reader an insight into the tone and subject type of Conspiracy of Silence. But if you choose to read Conspiracy of Silence first or alone, then I think you will be able to catch up without too much trouble. Simply know that four years ago, while stationed in Syria, Tox and his men were called in to rescue the President. The mission took a side turn when they discovered that his kidnapping was tied to a mysterious disease that was spreading and connected to the discovery of an ancient artefact. The Warrior’s Seal also gives the reader an insight into Tox before it all goes wrong for him, Tox as a leader and turn part of his team. Wow. I think this book almost killed me. I’m not sure how I survived the tension, the heartbreak. I think Jennifer Lynn Barnes’ mind must be a very scary place most of the time – absolutely brilliant, but scary. Tess is back at school. 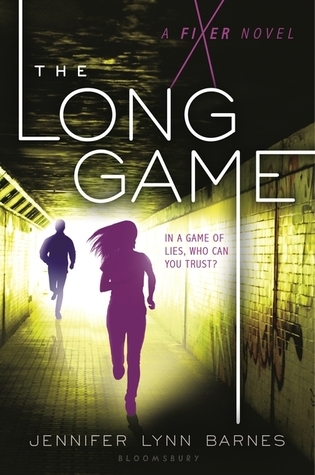 Life is back to normal, sort of, after she helped uncover a conspiracy within the government, was kidnapped and had her world turned upside down when she learned who her parents really are. She’s back at school and doing what she does best. Fixing things. 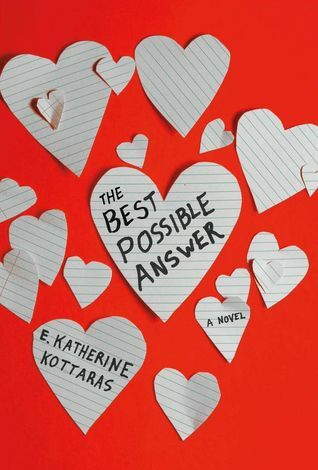 But when a friend calls in a favour and asks Tess to help her win the school president elections, Tess starts to uncover a very serious chain of events that are linked to the real president’s mid-term elections. Things get deadly, fast. 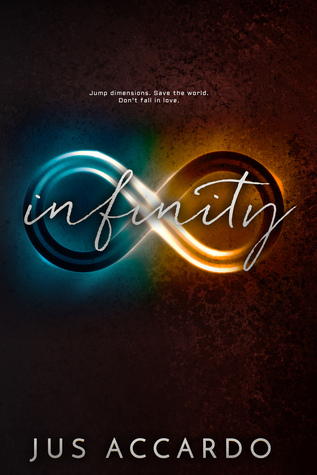 Infinity is the exciting start to a new series, with a complicated love story, sci-fi inter-world travel, a dangerous bad guy set on revenge across worlds, and an independent and feisty protagonist. It sets the scene for what promises to be a fun series. Kori’s father, general in the US army, has left on duty once again. But not before laying down his punishment for her sneaking away from home in the middle of the night and contributing to her town’s artwork. Some might call it vandalism, she calls it bringing colour and beauty to dark places. But her new babysitters are unlike the stuffy soldiers her father usually sticks her with. Young, loud, messily dressed and hot, Private Cade and Recruit Noah are hiding secrets from Kori – secrets that could throw her life into chaos and change everything she has ever known about her world and family. Then she gets a job working at the community pool, where she meets a new group of friends who know nothing about her past. That includes Evan, a gorgeous guy who makes her want to do something she never thought she’d do again: trust. For the first time in her life, Viv realizes she can finally be whoever she wants. But who is that? While she tries to figure it out, she learns something they never covered in her AP courses: that it’s okay to be less than perfect, because it’s our imperfections that make us who we are. It is funny how a writing style can change everything. In anyone else’s hands this novel could have been run of the mill. But instead it is a charming book of friendship, family and mistakes and secrets that shake one’s trust in others. I was charmed from the first page. I loved the chapter headers. I loved how this wasn’t a simple romance where love fixes everything, but instead a story of what love is, how it hurts and when it is worth the risk to reach out and trust another person, whether that’s a romantic interest, your best friend, your family members or yourself. This book made me very hungry – for cinnamon rolls, lobster pasta, muffins, eggs Benedict, you name it. I was reading this just after eating dinner thinking about what meal I could eat next. But it also made me hungry for sea air and small towns, rugged coastlines and good friends. Caden is the executive chef at Rose’s Red Door Inn. She loves her job, but the future of the B&B may be in danger if they don’t find a way to increase their bookings. When Marie discovers that a travel writer will be staying at the Inn, she and Caden are sure it is the handsome Adam Jacobs. Marie asks Caden to make sure Adam sees the best of the Inn and Prince Edward Island, and they forge a strong friendship as they spend time in Caden’s kitchen and exploring the Island. Adrianne Thorpe has watched as both her twin brother and her sister have had love enter their lives in the past few months. With one already married and the other in a serious relationship, she has had to watch them live out her dream. Though she has dated plenty over the years, Adrianne hasn’t found the man she wants to spend the rest of her life with. Does she just have impossibly high standards? Or is it the small voice in her head telling her that no man would really love her that keeps her from letting anyone get close enough to touch her heart? From the moment Connor Mackenzie learns that his sister Rebecca is married to Alex Thorpe, he knows his past has come back to haunt him. After over a decade of working in some of the most dangerous areas of the world, he had plans to retire so he could move closer to his sister and nephew. Doing that now will mean being in almost constant contact with the woman who, as a teenager, he had rejected most cruelly. Has she been able to get over their hurt-filled past? Or will he be forced to reconsider where he spends his time post-retirement? Another great title by Kimberly Rae Jordan. Beauty From Ashes continues the BlackThorpe Security series. This is Adrianne Thorpe’s story, as her past resurfaces and she determines what she wants as from future. Beauty From Ashes didn’t quite unfold as I expected. There is much less emphasis on the past mysteries and dangers that have been plaguing the people at BlackThorpe than I expected, especially the very minor continuation of Alana and Justin’s story (have I missed a novella somewhere?) But I really enjoyed getting to know Adrianne more. We met Adrianne in previous BlackThorpe titles. She is a strong woman, but still deeply hurt by the words of Conner Mackenzie, someone she considered a friend, in her teenage years. 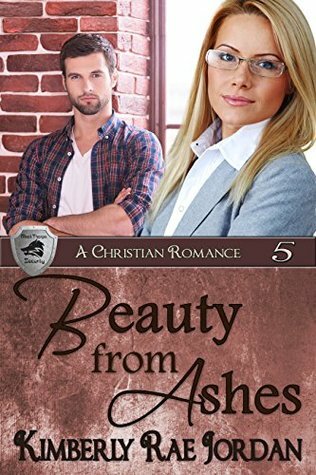 Her story of forgiveness and redemption with Connor is very sweet. From first reading an excerpt of this book I knew it was going to provide some fireworks, both in the action and romance departments. I was not wrong. The book starts with Finn McGregor rushing to the aid of a screaming woman, deep in forest at night. And it only gets more exciting from there. I loved returning once again to the lives of the McGregor brothers. This time Finn is our hero. He is just as upstanding, courteous, handsome and worthy of the title hero as his two older brother are. But Finn’s also got some heavy burdens he carries after his time as an Army Ranger. He expects solitude and peace during his time at the cabin tucked away in national forest, maybe even boredom. 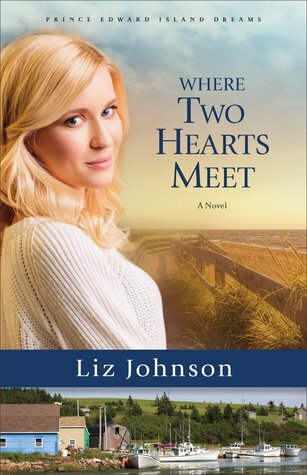 He doesn’t expect to find a gorgeous woman living in the neighbouring cabin. Dana, too, is looking for peace and solitude. But when vandals start damaging her remote property it helps to know Finn is nearby, especially as vandalism is only the beginning. 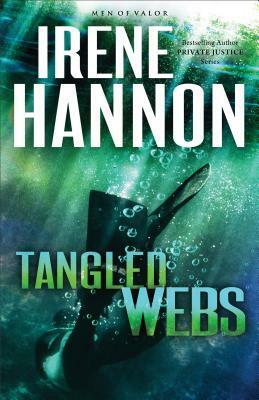 I love Irene Hannon’s mystery-thrillers as much as her contemporary novels. I love how she weaves strong romance with family dynamics and action, all the while keeping me on edge and looking over my shoulder. My fingernails suffer, but the rest of me loves it. There are some books that touch you deeply, other books intrigue and still others make you question life and starting looking at things from another angle. 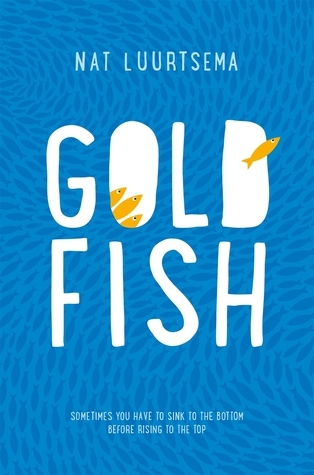 And then there are books, like Goldfish (AKA Girl Out of Water), that just make you happy. I couldn’t stop smiling and laughing while reading this book. There wasn’t a moment I didn’t love, it was such a pleasure to read. I’ve got to give Goldfish five stars for re-readability and genuine hilarity. Lou just came last in the biggest swimming race of her life. Now, gone are the early morning, lunchtime and after school training sessions. Gone is the elitist swim camp. Gone are her Olympic dreams. Gone too is her best friend – off to the aforementioned swim camp. Lou has a lot of spare time on her hands now and a new-found lack of popularity. So when a group of popular and gorgeous boys ask her to help train them, she surprises herself by agreeing. Now, note in my synopsis I don’t mention synchronised swimming like the book’s official summary does? That’s because the guys are a little less synchronised swim team and more group of boys who want to be on Britain’s Hidden Talent TV show and didn’t get through as dancers and so decide to take their dancing talent underwater. As I said, hilarity. A Family Under The Christmas Tree is the perfect book for winter (and thanks to living in the Southern Hemisphere and an advanced copy, everything was timed perfectly so that I could enjoy this in the cold months of the year). 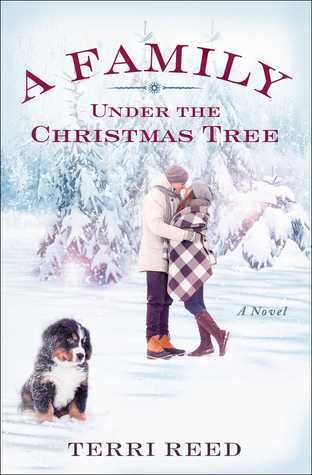 I adore that cover, especially that cute Bernese you see, who I would like to steal and take home. And I loved the setting, a wintry, snowy Washington. The romance was very sweet and the family aspects heartbreaking, all of which combined to create a charming and enjoyable novel. Sophie is visiting her grandmother, staying for Christmas only. She is a photographer with a career that is blooming, so she doesn’t have much time for family or holidays, and she especially doesn’t have time for creating a family of her own. Which is why she is more than a little surprised to be so attracted to her grandmother’s neighbour, David. David has recently taken in his nephew after the tragic loss of his brother and sister-in-law. The little family has been shaken by the tragedy and David is struggling to balance work, a home and a rambunctious little boy. Sophie and her grandmother step in to help out and David, too, is shocked to be fighting off attraction to the beautiful photographer. He knows Sophie is leaving soon and can’t risk any further damage to his or his nephew’s heart.